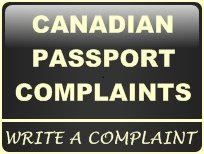 Mon-Fri: 8 a.m. to 4:30 p.m.
Mon-Fri: 8:30 a.m. to 4:30 p.m.
Canadian Government Offices in the United States do not provide regular passport services. If you are applying for Canadian Passport you must send the passport application form by mail to the following office in Canada. Passport Canada will mail the passport back to your U.S. address. If you choose to pick up your passport at a Passport Canada office in Canada, you must do so in person. You cannot have a third party pick up your passport on your behalf. Passport Canada has a temporary passport office at 1318 Blanshard Street in Victoria. This has nine counters and is able to seat approximately 105 people. This represents an additional two counters and 70 extra seats compare to the previous location on Fort St.
Passport Canada office on Blanshard Street opens from 8:30 a.m. to 4:30 p.m. from Monday to Friday. Both old and new temporary offices will be integrated into one once Passport Canada moves to its new office at the Bay Centre mall at 1150 Douglas Street. This move is scheduled for March 31, 2009. Mon-Fri: 8 a.m. to 5:30 p.m.
Monday to Friday from 8:30 am to 4:00 pm. Hours of service Monday to Friday from 8:30 am to 4:00 pm. Mon-Fri: 8:30 a.m. to 8 p.m.
Canadian Passport pickup service is not provided at the Calgary South office. All passports will be mailed to the applicant. For those applicants wishing to pick-up their passport or who require urgent or express service the Calgary passport office in downtown can accommodate your needs.